5G is expected to reach 30 million subscriptions for enhanced mobile broadband in the Middle East and Africa (MEA) by the end of 2024, representing 2 per cent of total mobile subscriptions, said Ericsson in a new report. This will make 5G the fastest generation of cellular technology to be rolled out on a global scale, according to the new MEA edition of the Ericsson Mobility Report. From a mobile data traffic point of view, the region is globally the highest with nine times growth forecast (1.8 to 15.4EB/month from 2018 to 2024) and mobile broadband subscriptions to double (860 million to 1.63 billion from 2018 to 2024). The MEA region’s telecom market is characterized by increasing uptake of LTE and there is a high usage of apps. Therefore, significant growth is expected in data consumption together with large mobile broadband subscription addition. Economies in the Mena region have shown signs of recovery in 2018 and are expected to grow by 3.9 per cent in 2019 as oil exporters benefit from the improved outlook for oil prices. Continued economic growth in the region, coupled with a young population, favourable policies and lower cost devices will drive investment in the telecoms sector, increasing uptake of ICT services. LTE subscriptions will have the highest growth at 23 per cent Compound Annual Growth Rate (CAGR) between 2018 and 2022, driven by increased mobile communications service provider investment in 4G networks as well as rising usage of data-intensive mobile services in the region. The combination of increasing usage of mobile video applications on higher resolution screens and better network throughputs will lead to a rise in the data traffic per active smartphone from 2.9GB per month in 2018 to 15GB per month in 2024, a CAGR of around 30 per cent. The first wave of 5G introduction in the Middle East and Africa targets the FWA segment where operators utilize it as an alternative to fiber, with quick time to market, as well as being an additional revenue stream. However, for the full 5Gpotential, large-scale rollout and to achieve long-term success, two main areas need to be addressed, namely spectrum availability and use case development. 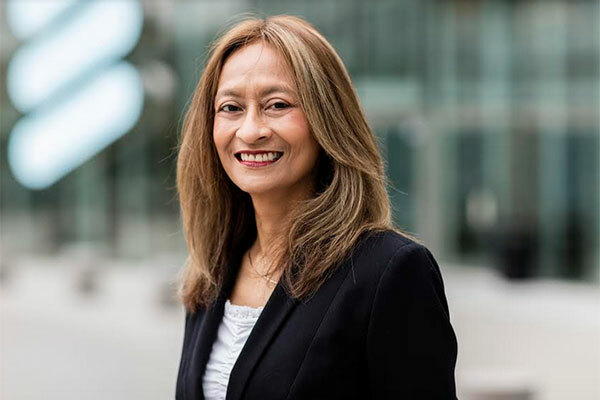 Rafiah Ibrahim, head of Ericsson Middle East and Africa, said: “With connectivity at the heart of industry transformation, cellular technologies have a significant role to play – not just in the evolution of communication but in the transformation of businesses and societies.